Abt Associates is a mission-driven, global leader in research and program implementation in the fields of health, social and environmental policy, and international development. Abt Associates believes that investing in frontline health workers is paramount to strengthening health systems and improving health outcomes worldwide. The American International Health Alliance (AIHA) is a nonprofit organization working to advance global health through locally driven, locally owned, and locally sustainable health systems strengthening and human resources for health interventions. AIHA supports the Frontline Health Workers Coalition because building the capacity of frontline health workers closely aligns with our vision of a world with access to quality healthcare for everyone, everywhere. The American College of Nurse-Midwives (ACNM) represents certified nurse-midwives and certified midwives and sets the standard of excellence for midwifery education and practice in the United States. ACNM is proud to be a member of the Frontline Health Workers Coalition because we are committed to enhancing the well-being of women and infants worldwide by strengthening the capacity of midwives in developing countries. Amref Health Africa is an African-led health development organization based in Nairobi, Kenya. Working in more than 30 countries across Africa, Amref Health Africa focuses on the most critical health challenges facing the continent, including maternal and child health, HIV/AIDS, TB, malaria, clean water and sanitation and clinical and surgical outreach. Since 2012 alone, Amref Health Africa has trained more than 250,000 health workers. Guided by the belief that every life has equal value, the Bill & Melinda Gates Foundation works to help all people lead healthy, productive lives. Frontline health workers are essential to effectively deliver family health interventions around the world; the foundation is a supportive member of the Frontline Health Workers Coalition because we believe its efforts will contribute to supporting a global health workforce to have the capabilities and motivation to provide exceptional care for people and communities to improve their health. 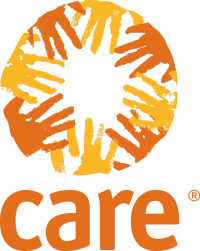 Founded in 1945 with the creation of the CARE Package, CARE is a leading humanitarian organization fighting global poverty. CARE places special focus on working alongside poor girls and women because, equipped with the proper resources, they have the power to lift whole families and entire communities out of poverty. Last year CARE worked in 87 countries and reached 82 million people around the world. As part of CARE’s health programming, we work with frontline health workers to deliver high quality, rights-based sexual, reproductive and maternal health (SRMH) services to communities by facilitating ongoing quality improvement and enhancing acceptability and responsiveness to community needs. CARE also aims to empower, motivate and retain frontline health workers through innovative partnerships and by bringing a gender equity lens to our work in health systems strengthening. To learn more, visit http://www.care.org/work/our-technical-expertise/sexual-reproductive-and-maternal-health. Founded in 1975, Chemonics is an international development consulting firm. In 150 locations around the globe, our network of 3,000 local professionals share a simple belief: those who have the least deserve our best. As consortium leader for USAID’s global HRH2030 program, we are committed to equipping governments and frontline health workers with the evidence, tools, and skills they need to achieve global health goals. The Elizabeth Glaser Pediatric AIDS Foundation (EGPAF) is a global leader in the fight against pediatric HIV/AIDS, and has reached more than 16 million women with services to prevent transmission of HIV to their babies. It currently works at more than 5,500 sites and in 15 countries to implement prevention, care, and treatment services; to further advance innovative research; and to execute global advocacy activities that bring dramatic change to the lives of millions of women, children, and families worldwide. FHI 360 is a nonprofit human development organization dedicated to improving lives in lasting ways by advancing integrated, locally driven solutions. FHI 360 recognizes that strategic investments in health workers are essential for strengthening health systems and promoting integrated human development. GlaxoSmithKline aims to improve health through our medicines but also by being a catalyst for change. We are working to overcome a fundamental barrier to good health in the world’s poorest countries -- the shortage of healthcare workers -- by recruiting, training and retaining health workers in partnerships with other concerned organizations. The Global Alliance to Prevent Prematurity and Stillbirth, an initiative of Seattle Children’s, stimulates research and raises awareness about prematurity and stillbirth to improve maternal, newborn and child health worldwide. As members of the Frontline Health Workers Coalition, we support those who deliver interventions and treatment now, while we seek knowledge that will lead to the prevention of preterm birth and stillbirth. Global Health Council (GHC) seeks to improve health globally through increased investment, robust policies and the power of the collective voice. GHC is part of FHWC because we recognize the critical role that frontline health workers play in ensuring healthy outcomes. Established in 1990 by HIV and AIDS visionary Jonathan Mann, HealthRight International is dedicated to empowering marginalized communities to live healthy lives globally. HealthRight is a proud member of this global coalition, recognizing that well-supported health care workers are essential for building sustainable healthcare systems, especially in the most remote regions of the world. ICAP is a global leader in HIV/AIDS and health systems strengthening, and provides technical assistance and implementation support to governments and NGOs in more than 21 countries. ICAP supports a multidisciplinary team approach to providing health care that includes nurses, midwives and other frontline workers. The International Association of Providers of AIDS Care craft and implement global educational and advocacy strategies to improve the quality of care provided to all people living with HIV/AIDS. IAPAC envisions a world in which people at risk for and those living with HIV/AIDS may access the best prevention, care, and treatment services delivered by clinicians and allied health workers armed with cutting-edge knowledge and expertise. Since its inception in 1984, International Medical Corps’ worldwide humanitarian and development efforts have been defined by an intense commitment to assisting communities in strengthening their ability to meet their own health care needs through education, training and capacity building. International Medical Corps’ focus on health workforce capacity in more than 30 countries fosters self-reliance and builds the kind of confidence, pride and self-esteem essential for political stability and successful development. IntraHealth's organizational mission is to “Empower health workers to better serve communities in need around the world." Advocacy on behalf of that mission is central to our organizational strategy. We proudly house the secretariat and support the Frontline Health Workers Coalition as a critical element in our overall approach to advancing equitable access to capable health workers. Rooted in Jhpiego's mission is the belief that we must develop sustainability-- the capacity of countries to create a well-prepared network of health care professionals that they can build upon to care for themselves. We do this by educating and preparing frontline health workers with evidence-based skills and techniques that will prevent the needless death of women and their families. Frontline health works are integral to the success of all of our programs and we are honored to be part of a coalition that recognizes the importance of their life-saving work. JSI seeks to improve the health of underserved people and communities in partnership with governments, organizations and host-country experts to improve the quality, access and equity of health systems worldwide. Through various projects, including Advancing Partners & Communities, JSI is committed to advancing learning of successful community health systems and community-based service delivery models that support frontline health workers. Johnson & Johnson’s global contributions work aims to make life-changing, long-term differences in human health. Together with partners, Johnson & Johnson focuses on saving and improving the lives of women and children, preventing disease among the most vulnerable and strengthening the health care workforce. The Medtronic Foundation works to expand access to chronic disease care for the underserved. The Medtronic Foundation believes that strengthening frontline health workers and is a critical element of health systems strengthening, and necessary, in the US and globally, to enable people living with chronic disease to successfully manage their condition in acute events and over the long term. To harness the power of mobile technology at scale, USAID has joined forces with public and private sector partners to form a three-year partnership called mPowering Frontline Health Workers. This innovative partnership is designed to improve maternal and child health and contribute to the elimination of preventable child and maternal deaths by accelerating the use of mobile technology to improve the skills and performance of frontline health workers around the world. ONE is an international campaigning and advocacy organization of more than 6 million people taking action to end extreme poverty and preventable disease, particularly in Africa… because the facts show extreme poverty has already been cut by 60% and can be virtually eliminated by 2030, but only if we act with urgency now. Co-founded by Bono, ONE raises public awareness and works with political leaders to combat AIDS and preventable diseases, increase investments in agriculture and nutrition, and demand greater transparency so governments are accountable to their citizens. The One Million Community Health Workers (1mCHW) Campaign aims to support national government efforts to upgrade and expand community health worker programs in sub-Saharan Africa, scaling them up to meet the health-related Millennium Development Goals. The 1mCHW Campaign positions Community Health Workers as a crucial delivery mechanism for expanding the reach of primary healthcare systems, particularly in low-resource settings, making them the strategic solution to reducing morbidity and averting mortality in mothers, newborns and children. For more than 50 years, Pathfinder has delivered vital reproductive health programs that expand opportunities for women, men, and young people in developing countries. Pathfinder provides a range of services—from contraception and maternal care to HIV prevention and AIDS care and treatment. Frontline health workers are essential to Pathfinder International’s work to ensure that vulnerable populations in remote locations have the right and opportunity to live healthy sexual and reproductive lives; supporting frontline health workers to provide sexual and reproductive health services pays dividends for families, communities, and nations. Population Communication was founded in 1977 to communicate family planning and population messages to national leaders and to explore the cradle-to-the-grave policies and programs to achieve population stabilization. The president, Bob Gillespie, has advised governments in Taiwan, Turkey, India, Indonesia, Iran, Mexico, Bangladesh and the Philippines on selecting, training, mobilizing, supervising and evaluating frontline health workers. The Population Council conducts research to address critical health and development issues. It is working to stop the spread of HIV, provide more reproductive choices, and ensure that young people lead full and productive lives. The Population Council's research leads to better policies, programs, and technologies that improve lives around the world. Project HOPE enables health workers to have the greatest positive impact on the health of the people they serve. Project HOPE agrees with and supports the Frontline Health Workers Coalition vision that everyone should have access to basic preventative and curative health care by skilled, supported and motivated frontline health workers. RESULTS is a volunteer advocacy organization with over 100 chapters across the U.S. committed to ending the worst aspects of poverty through health, education, and economic opportunity. Access to health is an issue of equity and RESULTS is proud to be a member of the Frontline Healthcare Workers Coalition to push policies that enable the poorest in the world to have access to quality healthcare. ReSurge International (formerly Interplast) provides free reconstructive surgeries for the poor and builds year-round medical access in underserved areas. ReSurge seeks to amplify the voices advocating for an increase in the quality and quantity of frontline health workers. RTI is an independent, nonprofit institute that provides research, development, and technical services to government and commercial clients worldwide. We believe that frontline health workers are the driving force behind health service delivery; RTI is pleased to be part of a coalition that leads the advocacy needed to support their success, which is closely linked to the success of strong health systems. Seed Global Health teaches and trains physicians, nurses, and midwives to help save lives and improve health in Africa, working with local partners to strengthen critical skills, prevent global health threats, and improve health care outcomes. Seed is a proud member of the Frontline Health Workers' Coalition because of our shared vision for a future in which every country has a robust health workforce that is able to meet the health needs of its population. Save the Children is the leading independent organization creating lasting change for children in need in the US and more than 100 countries around the world. Our See Where the Good Goes campaign (www.goodgoes.org) was developed to educate Americans and policy makers about the life-saving work of frontline health workers. We are committed to expanding the reach of basic health care by training, equipping, and supporting health workers and celebrating their impact. Touch Foundation combines the best of private and public sector approaches and expertise to improve the health of Tanzanians by strengthening the health system. Since 2004, through our partnerships with local sustainable healthcare and training institutions, we have supported the training of over 3,000 frontline health workers and we support efforts to advocate on behalf of these workers by joining the FHWC. Training for Health Equity Network is a growing global movement to transform health workforce education to be socially accountable and meets the needs of communities. THEnet is proud to be a member of The Frontline Health Workers Coalition because we recognize that we can will have greater impact for change by working with like minded organizations with similar goals. University Research Co., LLC (URC) is a global company dedicated to improving the quality of health care, social services, and health education worldwide. URC is pleased to collaborate with other organizations to advocate for continued and amplified strategic efforts and investments to not only increase the health workforce, but also support and optimize the performance of the existing workforce. WaterAid is working toward a world where everyone, everywhere has safe water, sanitation and hygiene (WASH). The WASH and health sectors have a shared goal of improving health and reaching the poorest and most marginalized in society, and a strong health workforce is the backbone of ensuring this quality care for all. Women Deliver is a global advocacy organization bringing together voices from around the world to call for action to improve the health and well-being of girls and women. Strengthening health systems for sustaining and scaling-up critical health interventions, and addressing serious gaps of frontline health workers, is essential to meeting MDG5, and in turn, achieving all the DMGs. World Vision is a Christian humanitarian organization dedicated to working with children, families, and their communities worldwide to reach their full potential. As a member of the Frontline Health Workers Coalition, we are excited to build upon our field experience in training and educating community health workers to advocate for improved access to health care in the developing world.